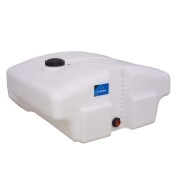 Free Standing Tanks are selected when transportable (non D.O.T. 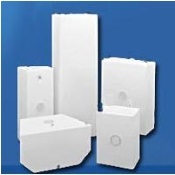 regulated) containment is required for indoor or outdoor applications. 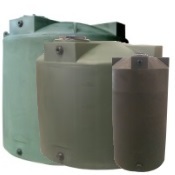 Tanks are equipped with molded-in legs to support the tank and band locators for tie down. 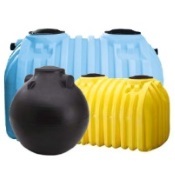 Tanks are manufactured from medium- or high-density polyethylene with U.V. 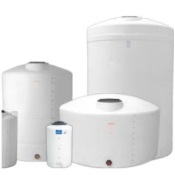 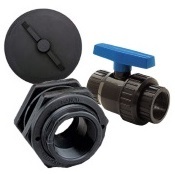 inhibitors and designed for containment of liquids of up to 1.7 specific gravity. 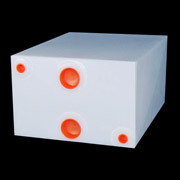 Tank walls are translucent for level viewing and equipped with gallon indicators. 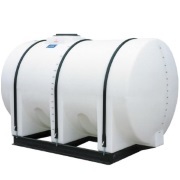 Hoops are required for 735 gallon tanks and larger.